On Saturday, August 23, 2014, Alice resident David Johnson and his friend went fishing out of Corpus Christi. The friends launched at Billings Bait Stand and started out fishing in front of the bridge. After catching a few fish the action got a little slow. Johnson remembered a place another fishing buddy had taken him to where he had recently lost a big trout. They decided to head out to the “boat hole”. By noon, each had caught a couple of reds at this spot and joked about making sure it didn’t have a tag. The action slowed again and the friends began debating on whether to move or not. Just around that time, Johnson’s drag started singing. At first Johnson wasn’t sure if it was going to be a keeper and took his time reeling it in. Once he landed the fish, his friend netted it and told him “it has a tag”! Johnson asked, “What kind of tag?” The friend replied “a 2014 CCA tag!” Johnson couldn’t hardly believe it. The friends headed to official STAR Weigh Station, Roy’s Bait and Tackle, where they verified that it was the “reel deal” and informed him that he had just won a truck and boat. “I don’t think a fish has ever been guarded as much as I guarded this one”, said Johnson. David Johnson is the fourth official winner of the 2014 CCA Texas STAR Tournament, Texas Ford Dealers Redfish Division. He will receive a 2014 Ford F-150 Texas Edition XLT SuperCab truck, Haynie 23’ Big Foot boat, Mercury 150 L Pro XS OptiMax motor and Coastline trailer. 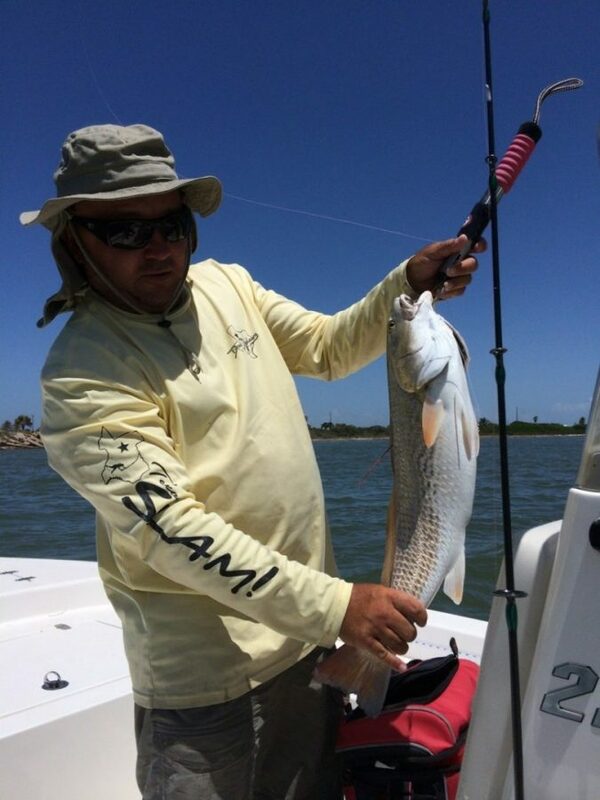 CONGRATULATIONS TO OUR FOURTH TAGGED REDFISH WINNER! Fortunately for David Johnson, he was registered. Johnson will be awarded their truck/boat prize packages at the STAR Awards Ceremony on October 3rd.